The recipe comes from Ms. Erika, one of Anna’s preschool teachers. Cate had Ms. Ferneyn and Ms. Erika several years ago and now Anna has the same two lovely teachers. Not only are they fabulous preschool teachers, but they shower me with recipes, food and produce. These ladies are kindred spirits and I love them as much as my girls. Ms. Erika brought us dinner a few times last year through all the baby-being-born madness and these enchiladas were one of the meals she shared with us. 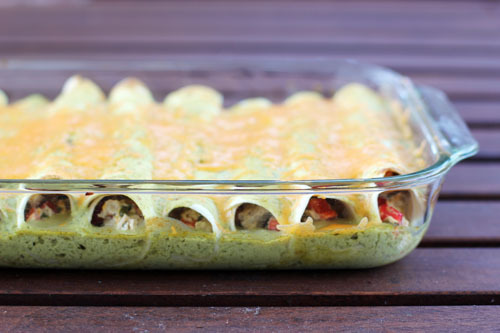 These enchiladas are delectable and you can use chicken or black beans or both! 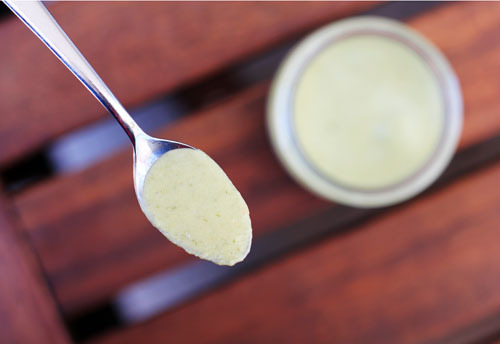 The cilantro sour cream sauce is so good, with a mellow, balanced heat that pleases both kids and adults alike. 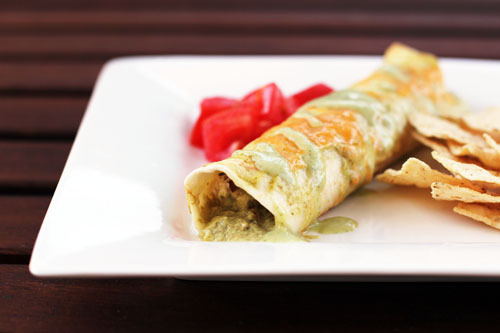 It’s my new favorite enchilada recipe and, when I made them the other night, I could not eat just one. In a bowl, mix chicken, half of the sour cream and half of the cilantro, the red pepper, chilies, ½ cup cheese, garlic and cumin. 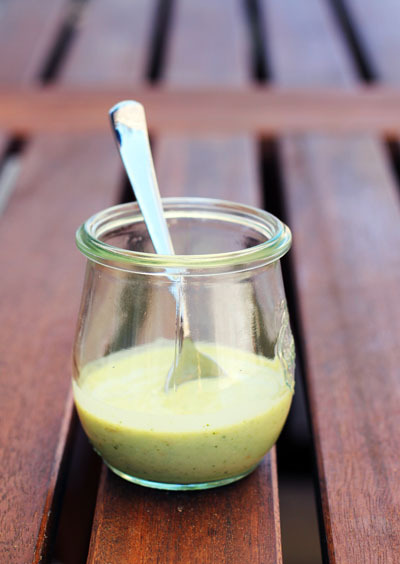 Puree salsa, water and remaining ½ cup each of sour cream and cilantro in a blender or food processor. Spread 1 cup over the bottom of the prepared baking dish. Spoon about ¼ – ⅓ cup chicken mixture down the center of each tortilla. Roll up and place seam side down in rows on the sauce in the baking dish. Cover and refrigerate, along with the remaining sauce and cheese, up to 2 days. To serve: Heat oven to 350*. Pour remaining sauce over tortillas; bake uncovered 35 minutes. Sprinkle with remaining cheese and bake 15 minutes longer or until bubbly. Serve with lots of toppings and tortilla chips. Jane notes that you need to read: I think these are better if you make them the day before, but I cooked them as soon as I assembled them and they were still AWESOME. Also, I didn’t pour all of the sauce over the enchiladas for baking – I reserved probably ½-3/4 cups or so and used that as a topping when we ate the enchiladas. I don’t comment much, but I wanted to say that I made these tonight and everybody (myself, my husband, and my 6-, 4-, and 1.5-year-olds) loved them. Very tasty. My son took a bite and said, “Oh Mom! These are delicious.” Dude is pretty hard to please. One more for our “Winner Meals” binder! I can’t wait to make these. I think we’ll be having this for dinner tomorrow! Wish my kids had a preschool teacher like Mrs. Erika when they were little! These look fantastic. 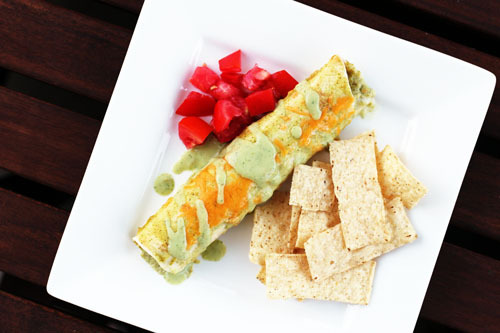 I am getting an enchilada craving! I made these tonight for my family and friends and it was an absolute hit! It was so good and everybody loved it and couldn’t stop talking about how tasty the enchiladas were. It is a keeper and I can’t wait to make it again. For the shredded chicken, I just got a rotisserie chicken from the store, that saved me a lot of time. Thanks again for this yummy recipe! I am about to make these for the 3rd time today. I use leftover chicken from a “beer can chicken” done on the BBQ so it’s smokey, and then I also do a veggie version with black beans for me(I also add some veggies – last time zucchini, this time I’m trying spinach and leftover roasted cauliflower. I find only black beans a little too much for my taste) my husband says these are the best enchiladas he’s ever had and they are one of his favorite foods of all time. I saved some sauce as recommended, but we didn’t use it when we ate it the first time, but I poured it over before reheating the leftovers, which helped it from drying out. This has been added to my rotation of favorite dishes to cook. Super delicious – thank you!! I was just looking at this week’s menu for inspiration for tomorrow and this sounded like a nice change. Too funny that it is from Erika!! erika is an amazing source for recipes – she has so many up her sleeve that she has tried and perfected! ooo! the lime would be great in there, I’ll do that next time. glad you loved the recipe! I made these for dinner tonight and they were AMAZING. I am currently trying to resist the urge to eat the leftovers before I go to bed!!! Thanks so much for this recipe. I made these last week and my mother who claims to hate cilantro, said they were the best thing shes ever tasted! I’m planning on making them again this week for my family that’s coming into town. Thanks for the recipe! THANK YOU THANK YOU. I found this recipe in a magazine many years ago. It was a family favorite. My husband asked me to make it for mexican themed dinner with new friends. Our young lab decided the tried and true recipe box smelled great..and the cards tasted good…so many of my recipes were destroyed. I know this is the same recipe, though I thought I would remember it…it is nice to have it printed. I agree with Rachel my mother in law hates cilantro but loves these. yay! so happy that you have been reunited with a favorite recipe! Do you remember what magazine it was from? 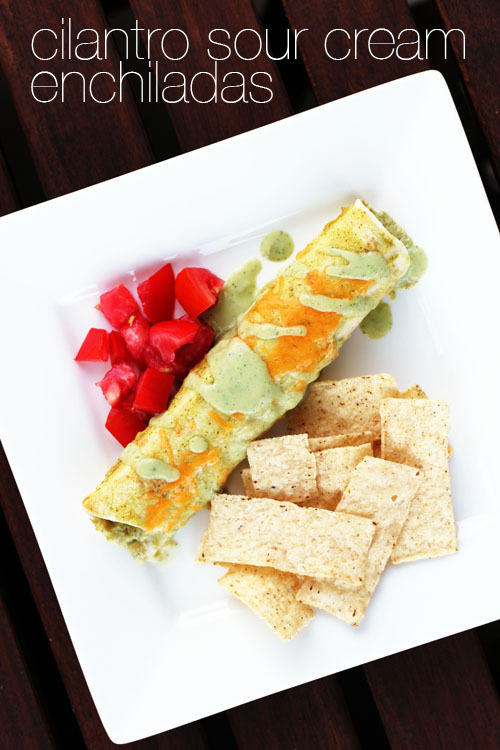 Cilantro, sour cream and green salsa are a favorite combination of mine so I tried these. Great flavor and all but the sauce was just watery. Typical? I used 2 small cans of Herdez salsa verde. I will make again but I could use the sauce. Thanks! I also found this recipe in a magazine years ago, and recently lost it. It’s always been my favorite, so I’ve been going crazy looking for it. I’m so happy to find it posted here with only one possible difference… my recipe may have called for corn tortillas rather than flour. As for the Herdez salsa… That’s also the brand I use (my fave for these enchiladas),but I buy the 16 oz jar. I’ve always reduced the water by half, and added an extra ~6-8 oz can of salsa. 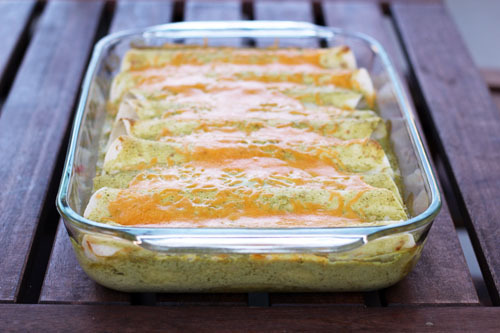 It makes just what I need as the recipe usually makes a 9×13 pan of enchiladas and a little extra. Delish!! These were great! Made them tonight and got “thumbs up” all around the table! Any way we could get a calorie estimation per serving? Thank you! oh, I just love these so much – I’m sure you guys will, too! I used corn tortillas and they were amazing! I hate sour cream so I used plain Greek yogurt tonight….delicious!!! These were super delicious! My whole family loved them! I made a double batch and I’m taking some to school tomorrow for the teacher appreciation lunch. I think the teachers are going to love me. Thanks for a great recipe! I am so happy you made them AND they were a hit! YAY! Love this recipe. I used mojito lime seasoning from McCormick and grilled the chicken. Next time I will try the original recipe. Thanks for sharing. That sounds super tasty, Sean! Hi Jane, I have tried several of your recipes and so far they have all been successes. I’d like to try these enchiladas, but every time I’ve made enchiladas, the tortillas end up soggy, especially when reheating leftovers. Have you found this to be so with this recipe? Any ideas on how to prevent this? Thank you! okay….hmmmmm….I have personally never had this problem, but I do have some ideas that could maybe help! – For leftovers, reheat in the toaster oven or oven – that should help them be less soggy.